SHEFFIELD WEDNESDAY manager Steve Bruce insists that the Owls are not giving up on reaching the Championship play-offs - after several of his supporting cast come to the fore in a 3-0 home win over Nottingham Forest. A second-half brace from Marco Matias and a sweet strike from George Boyd saw Wednesday bounce back from Saturday's unlucky loss to Aston Villa in timely fashion. The result was all the more impressive, given that the Owls were without key midfielders Barry Bannan and Sam Hutchinson. Bruce confirmed that Bannan remains doubtful for Saturday's derby trip to Leeds United, while Hutchinson missed the Forest game due to illness. 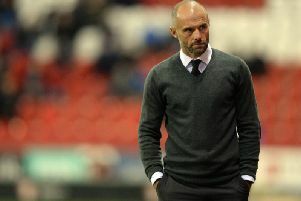 Bruce, whose side are four points behind the side currently occupying sixth place in Villa, who visit Rotherham on Wednesday night, said: "We did not deserve what happened on Saturday and all of the squad have done fantastically well and there is a good spirit about them at the minute. "When they have gone on the run they have gone on, it is unfortunate the games are running out. But we have still got a bit to play for and who knows - you just never know. "We have got a big game at the weekend, wow what a game that is going to be. Let's enjoy the challenge of it. We never give up until it is mathematically impossible." 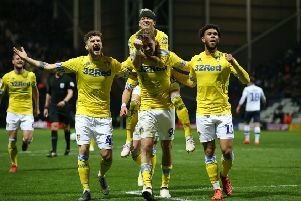 On a convincing victory over Forest, he added: "Considering the problems we had in terms of losing a couple of midfield players and Dominic (Iorfa) as well and we were enforced to make four changes and I was always wary of (Gary) Hooper - as two games in 48 hours would have been cruel on him - I was delighted. "Sam was sick yesterday (Monday) and vomiting all day in his bed, so we had to deal with that and Bannan and Adam Reach has come in and played in the middle of the pitch and I don't think he has done that in a long, long time, which was good. "I was delighted for the lads who have come in. They have worked extremely hard and got their rewards. "The first goal was always going to be crucial. We got a smashing goal from Marco and a great one from Boydy and the goalkeeper has got nowhere near them and it was great to see."